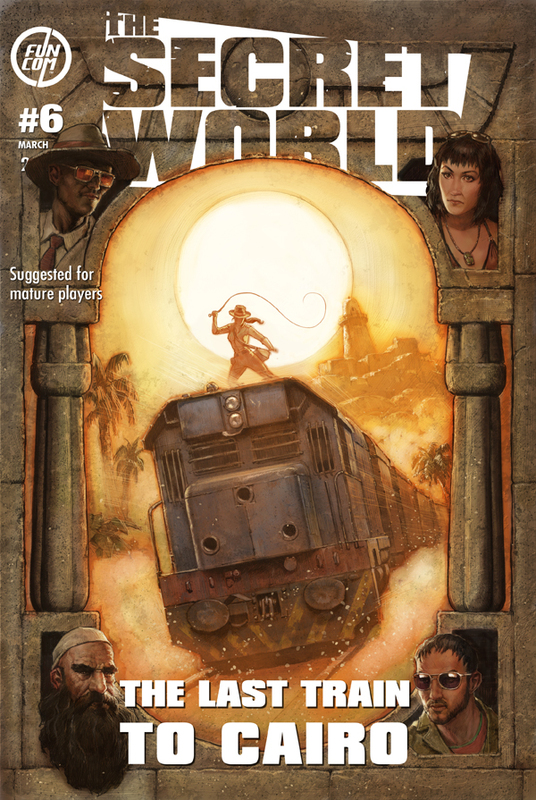 Yeah, The Secret World is so not being subtle with the whole Indiana Jones connection in Issue #6, but you know what? I don’t care. If you’re going to do an homage, go whole-hog — and that includes aping the style of the classic Indiana Jones posters. Next Article Catch up on cult movie reviews for the week! Go big or go home, rite? Just posted about this myself. I love the Issue covers they do for TSW. The artwork is always great, and in different styles, and they really up the excitement for the new content. …Why is Said alive on that poster? I can’t help but assume there will be time travel. Hey, is that an intentional reference to “The Temple of Doom”? @McJigg: Yes, there will be time travel – it is stated in the announcement. Said is possibly my favorite TSW character so I’m very interested in this. I hope I can make more progress with this than I did in the last DLC, though. Still stuck half way through on that and lost the will to carry on. I love it! It looks awesome! That Poster Rocks! Sounds like a Movie with Poster. I also loved being in Egypt, and look forward to going back. That dead mummy guy was one my favorite characters and a very much Mr Cool, since the first time I met him in an alley way on one my assignments in Egypt.